January 2018. The start of a brand new year. Some people start the year with some New Year’s Resolutions. I’m not one of them. It’s just not my thing. Nevertheless, I do tend to view the beginning of a new year as a good time to make a fresh start. And I use the beginning of a new year as a reminder for several household and finance maintenance tasks such as changing the batteries in my smoke alarms and pulling the first of my three free consumer credit reports for the year. According to Federal law, each of the three credit reporting agencies — Equifax, Experian, and TransUnion — are required to provide us each with one free credit history report each year. Three companies x one report per year = three reports. My method is to spread the three reports out over the course of the year, pulling one in each in January, May, and September. That way if something were to come up that I needed to know about and deal with, I’d be alerted to the issue no more than four months into the problem rather than having it fester for a whole year. AnnualCreditReport.com is the only legitimate and free source for your credit reports. 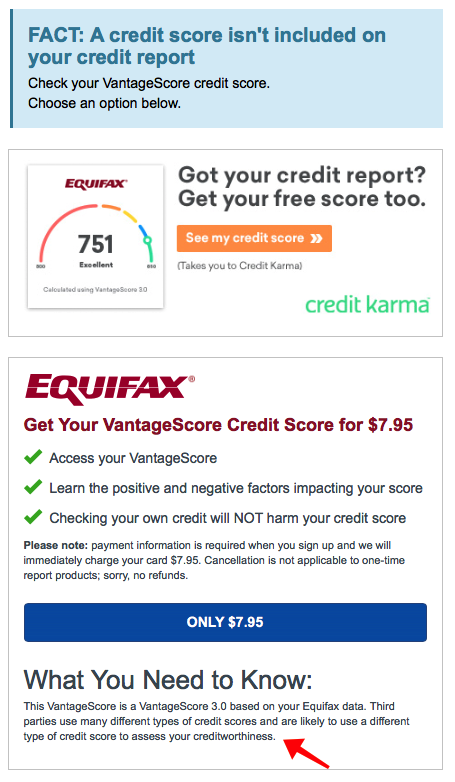 The only source you should use to access your credit report is AnnualCreditReport.com (see image above). This is important. Don’t be fooled by copycat sites. 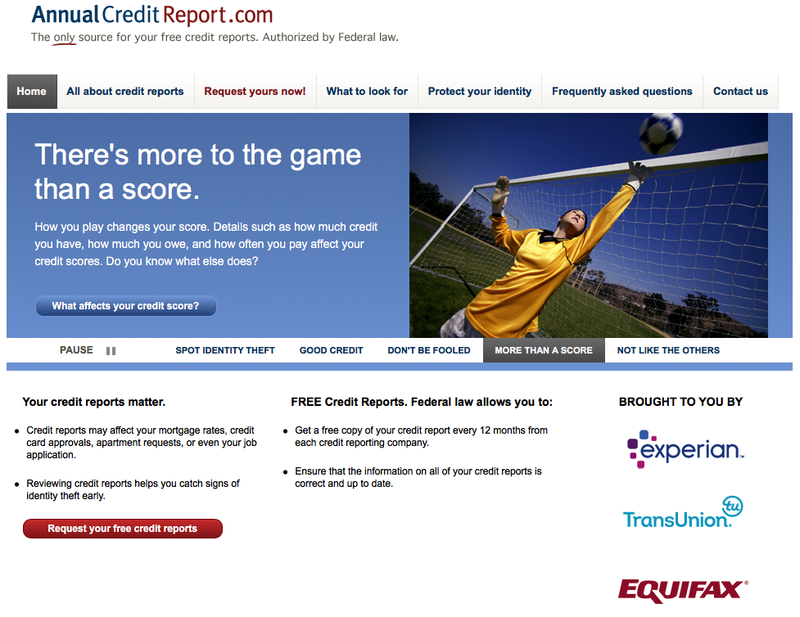 Click on the red “Request your free credit reports” button and follow the instructions. You’ll be asked to provide very sensitive information and you’ll be required to answer a series of multiple-choice questions. The questions might be about past addresses, loans and lenders, payment amounts, etc — stuff that hopefully only you can answer. Some of the questions are intentionally tricky; you may need to look up some info so try to start the request process when you have a few minutes of uninterrupted time to focus. If you just guess and end up guessing wrong you could lock yourself out. Pick one of the three credit agencies. Choose at random, go alphabetically, flip a coin — it doesn’t matter. Pick one and jot down the company’s name in your calendar or to-do list for the same time next year. Remember, you get one per company per 12 months so you’ll want to request from a different agency in another 4 months. 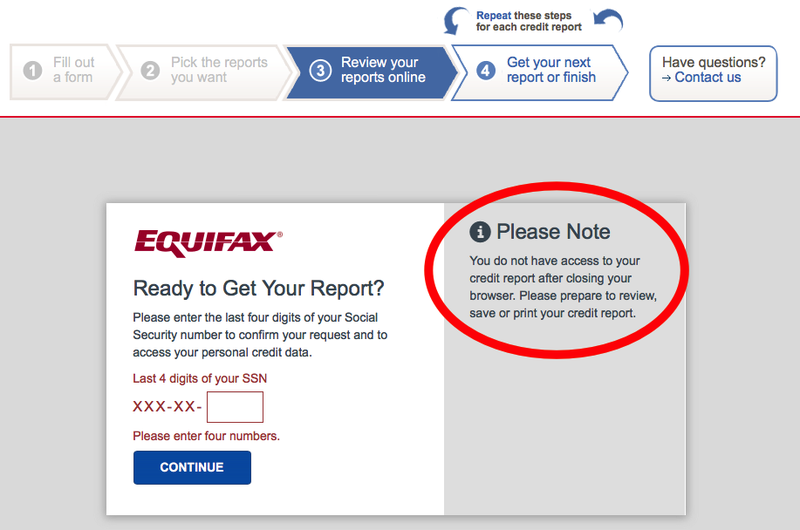 When you’re in the screen viewing your report, make sure to print it before you close the browser window (Equifax gave me a nice little reminder; see Screenshot below). I recommend “printing” or saving it as a PDF for easy file storage. If you’re a hardcopy person and feel you must print it out on paper, beware that they can be long; my Equifax report was 70 pages. Equifax not only warned me to save or print, they made it super easy with a big “download” button at the top of my report. I don’t remember the other agencies making it that easy in the past but maybe this is a new feature they’re all adding. Before you get lost in the details, be sure to “print” a PDF copy of your report for your records. Each agency’s report will display your credit history in their own format and with varying levels of detail. If your report includes negative information that you believe to be incorrect, be sure to check the end of the report for information about how to file disputes, your rights under the Fair Credit Reporting Act, and your rights under state law (your report will be customized to include information according to where you reside). It’s possible that you may run into an issue and be told that a second verification step is necessary. This happened to me last September. I suspect it was in response to the Equifax hacking revelations last year. It’s a pain in the rear but do it anyway. If you’re young and/or this is the first time you’ve requested a credit report, you may be required to print out a form and submit it via snail mail before being able to access your report. As above, this is a pain in the rear but do it anyway. I’ve never seen a case where this step is required more than once.